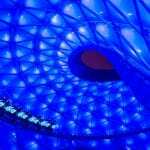 Ever since the announcement at D23 Expo this past Summer we’ve been drooling over the prospect of having a TRON Lightcycle Power Run Coaster coming to Disney’s Magic Kingdom. Since then we haven’t heard too much more about the project though, just some blueprints that were filed showing where the attraction will be going in Tomorrowland. Today however the TRON Lightcycle Power Run Coaster completion date was revealed on permits filed with the state. 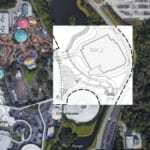 The TRON Coaster will be finished in time for Walt Disney World’s 50th Anniversary in 2021, and the permits show a construction start date of February 6th, 2018 and a completion date for the attraction of August 16th, 2021. This coincides with what I saw a couple months back in the Utilidors where a completion date of 2021 was listed for both the TRON Coaster and the Guardians of the Galaxy Coaster in Epcot. 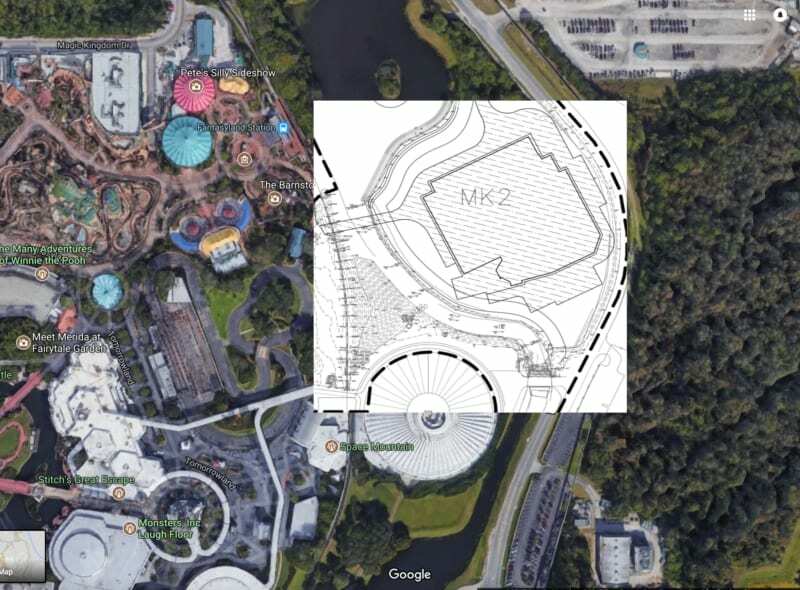 As you can see in the plans above and the concept art below, the TRON Lightcycle Coaster will be located next to Space Mountain, and behind the Tomorrowland Speedway. 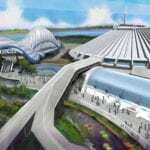 The skyline of Tomorrowland is going to get a big boost from this and will never be the same! Now just because the construction completion date for the TRON Lightcycle Coaster is on August 16, 2021, it doesn’t necessarily mean the attraction will be open on that date, but the construction should be finished with an opening date not far behind. Walt Disney World’s 50th Anniversary is on October 1st, 2021.